Ask the candidates: What questions do you want answered before the November 2018 election? 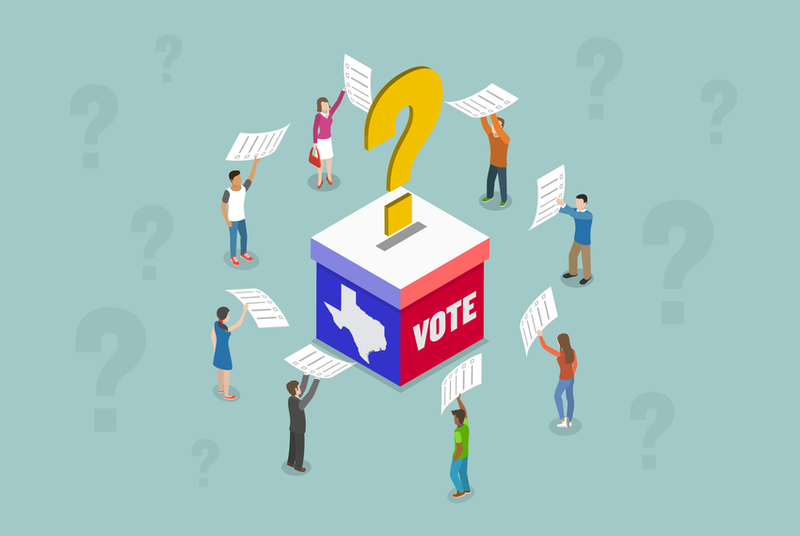 Ahead of November’s general election, The Texas Tribune is creating an election guide with a primary focus on young Texans — and we need your help. Picture this: It’s Election Day. You’re about to walk into the voting booth. You know whether you’re voting for Ted Cruz or Beto O’Rourke (you’ve been following that race for months). But then you see a ballot with a lot of other candidates you know nothing about. Now what? You do your best to stay on top of the news, and you know voting is important. But there’s a lot to keep up with. So we’re making an election guide to help you get up to speed on the issues that matter most to you heading into the 2018 general election. We’re starting by asking what questions you have for the candidates. Are there issues you feel passionate about but never hear about on the news or on the campaign trail? What do you need to know before you cast your vote in November? Let us know by filling out the form below, and we may include your question in our survey to candidates in statewide and key congressional races.